The auto sipper removes the need for cell handling. 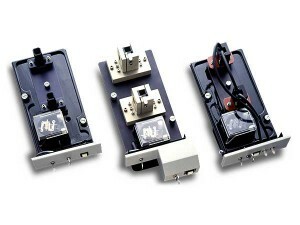 Used with a flow cell (various types available), sample introduction is reduced to a key press. It features computer-controlled pump times, and can be used with temperature controlled cells.For high speed automated analysis, the SDS-720 autosampler, used with a sipper, provides automated sample selection of samples. A built-in diaphragm pump provides a continuous stream of clean rinse solution to prevent inter-sample contamination.